We will become the architects of health care delivery programs that bring to every citizen of the state the finest health care that society has seen. With these words, Malcolm Moos, the tenth president of the University of Minnesota, celebrated the groundbreaking for Health Sciences Unit A in 1971. Unit A was the first in a series of interconnected facilities designed to integrate interprofessional education and optimize health care delivery. 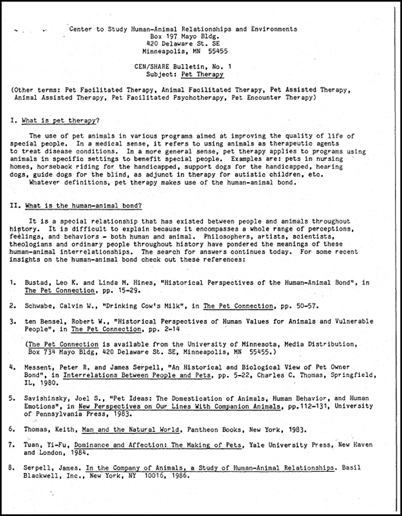 Based on commissioned studies and committee recommendations during the 1960s, health science education was brought together under the newly created administrative body of the Academic Health Center as well as physically in a complex of buildings, tunnels, and skyways. 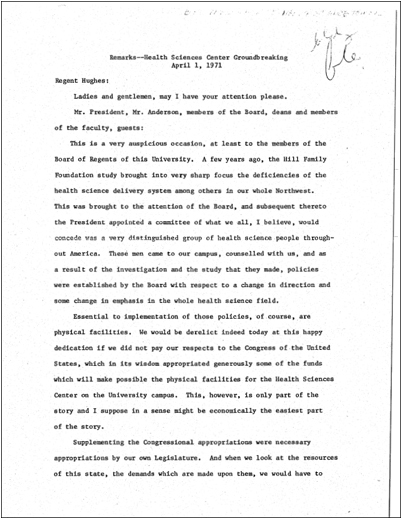 It is the Health Sciences facilities which we are here talking about today [that] will be implemented physically by a moral and intellectual commitment to see that all people of our state, those in the inner city and those in the out edges of the state, without regard to the particular circumstance in which they find themselves economically, will have available to them the degree and the facilities of health care which are adequate and appropriate to the dignity which each man has as a human being. The building was completed in 1973 for a total cost of $45 million and was home to the School of Dentistry, teaching laboratories for basic sciences, and departments from the School of Public Health and the Medical School upon its opening. 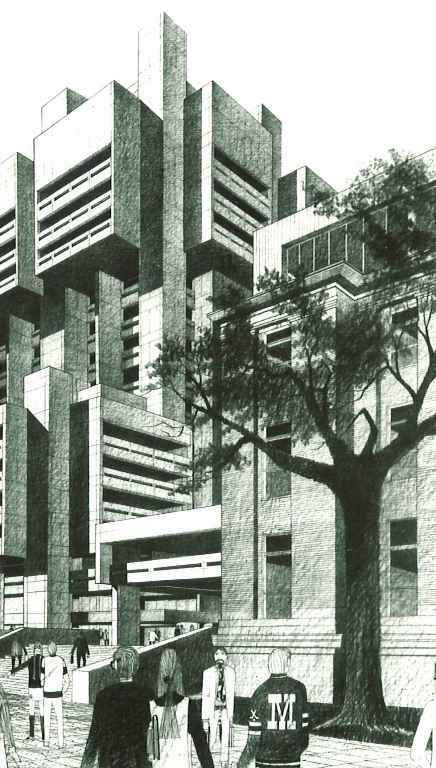 In 1983 the University officially changed the name of Health Sciences Unit A to the Malcolm Moos Health Sciences Tower to commemorate President Moos’ commitment to the expansion of the health sciences on campus. Read the full remarks made at the groundbreaking ceremony on April 1, 1971.